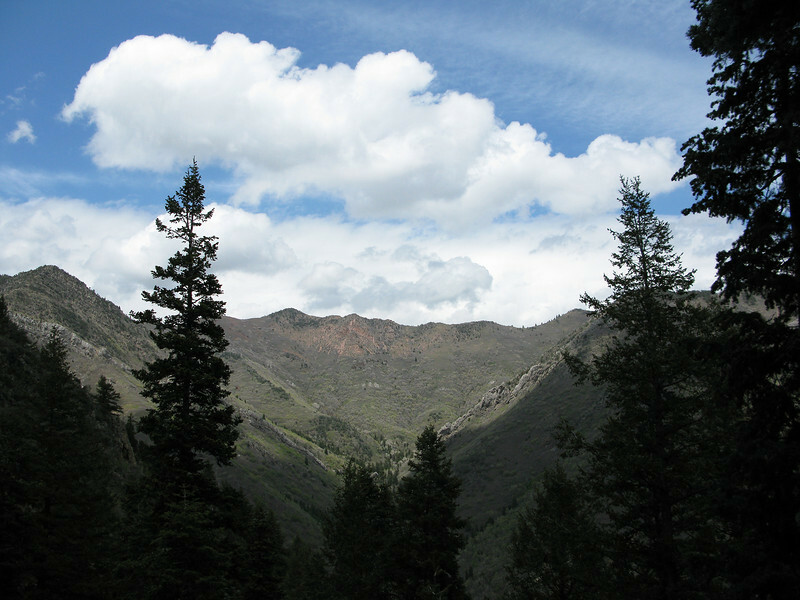 View of the Church Fork of Mill Creek Canyon, from Desolation Trail. The hike to Grandeur Peak, ( lookers left), follows this drainage up the middle from Church Fork picnic ground till about midframe, then switches back below the red peak ( Church Fork Peak), to the ridgeline left of the smaller Church Fork Peak. Then continues along the ridge lookers left, or aprox west, to the taller Grandeur Peak to the left of the frame. Excellent hike, about 6-7 miles, depending where you park. ( 2400 ft elevation gain).